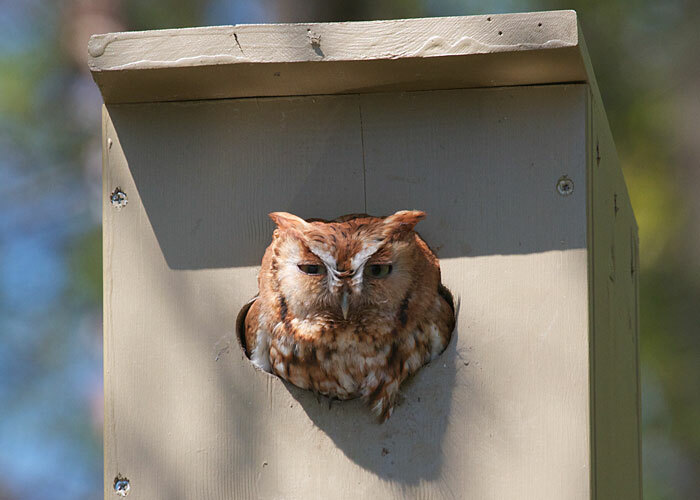 In an obscure cove of the lake, an eastern screech-owl dozes in the doorway of a birdhouse. The box tops a pole in the water, probably put there for wood ducks. But this year the box is producing baby screech owls. Seeing it there makes me resolve to look more carefully at tree trunks in my own neck of the woods.